Emerson baseball faces off against Rivier University at St. John's Prep. Photo Courtesy of Julie Levine. 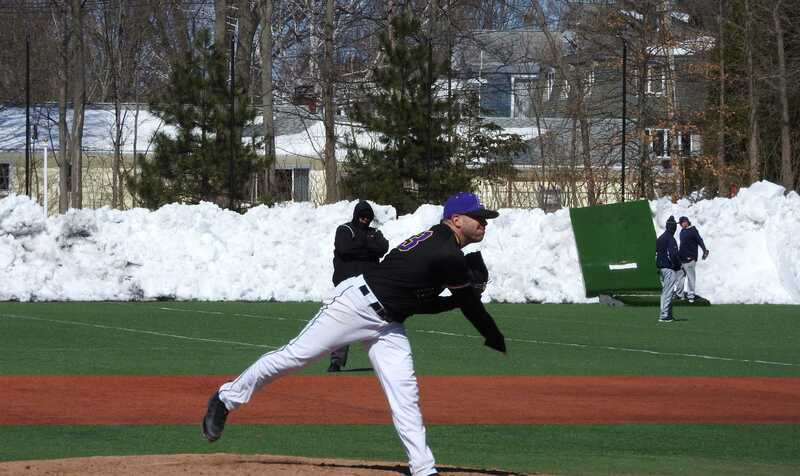 Men’s baseball bore 20-degree weather at St. John’s Preparatory School in Danvers, MA Sunday to defeat Rivier University, 14-3, earning their first win in New England this season. The bats came alive for the Lions, as they scored 14 runs on 13 hits, while their pitching staff— with help from four pitchers—only allowed three runs on four hits. 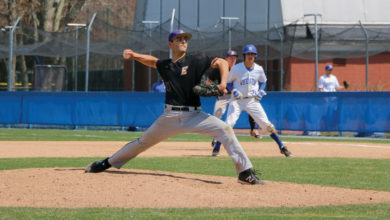 Senior starting pitcher Henry Schwartz carried the pitching staff, as he allowed two unearned runs on just one hit, striking out four and walking two. 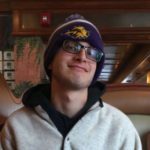 Schwartz credits his performance to the cold playing conditions, which he believes brought down everyone’s desire to play. Schwartz added that when it’s freezing outside, he’s the team’s go-to guy on the mound. “There’s nobody who wants to be there on the hill more than me,” Schwartz said. Junior Jake Mitchell and sophomores Sam Knox and Jack Fox replaced Schwartz after he exited the game after the sixth inning. The trio tossed the last three innings of the contest, where they allowed one run on three hits, and struck out five, walked two. Senior Neil Perry, junior CJ Rogers, and sophomore Joe Cuccio each recorded two hits on the day, as sophomore Cam Beattie and junior Ethan Young both picked up triples. Freshman John Gabert notched arguably the biggest hit of the day. Gabert lined a ball down the left field line that got by the left fielder and allowed him to fly around the bases for a three-run, inside-the-park home run. This was the first home run of Gabert’s collegiate career. The field the Lions played on at St. John’s was a multi-purpose turf field that had no fencing around the outfield wall like a regular baseball field, so anything that got by the outfielders turned into a huge extra-base hit. The Lions kicked off their season in the subtropical conditions of central Florida, so the game was a tough test for the team out of the gate. However, the team will see this weather for most of the season playing in New England. The Lions took an early 8-0 lead after four innings and held their lead throughout the entire game en route to their win. Schwartz said the key to victory was not relinquishing their early lead and scoring runs. The Lions will play their next game on Tuesday against Rhode Island College in Providence. First pitch is set for 3:30 p.m.